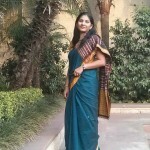 # 18: Wore this powder-blue colored organdy saree today. This is again mom’s! 🙂 Organdy fabric is not seen much these days …. But used to be quite in vogue earlier. 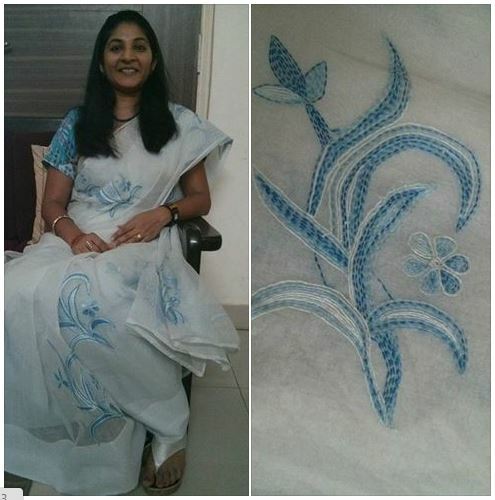 This one has motifs hand embroidered by mummy dear.